Tone-Lōc is an American rapper and actor. Tone Lōc is known for his deep, gravelly voice and his million-selling hit singles, “Wild Thing” and “Funky Cold Medina”. An occasional actor, he has performed in several feature films, including Blank Check (film) and Posse. 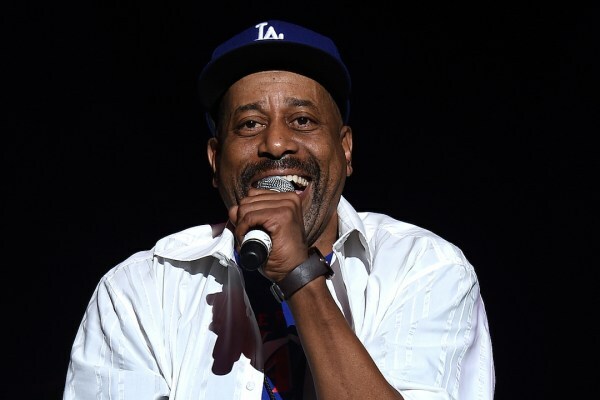 Tone Lōc is also a voice actor, having voiced characters in several television cartoon series such as King of the Hill and C-Bear and Jamal, and he was featured in the animated movie Bébé’s Kids, playing the wise-cracking baby Pee Wee. He voiced the character The Goanna in the 1992 movie FernGully: The Last Rainforest. He voiced Fud Wrapper, the host of the animatronic show Food Rocks, which played at Epcot from 1994 to 2004. In this latter role, he sang the song “Always Read the Wrapper”, a parody of his second hit single “Funky Cold Medina”. His song “Ace Is In The House” features in the films Ace Ventura: Pet Detective (1994) and Ace Ventura Jr: Pet Detective (2009). He provided vocals for Fefe Dobson for a track called “Rock It ‘Til You Drop It” on her first album, 2003’s Fefe Dobson. He was among the performers on the I Love the 90’s tour which lasted from April through October 2016.